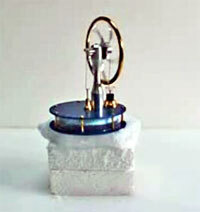 Dry ice is fun for teachers and students to use for school science experiments. With very simple experiments, you can see and understand the many wonders of dry ice and carbon dioxide. That mysterious fog at concerts and plays is typically made using dry ice. At Halloween, dry ice can be used to create a bubbling witch's brew or a colorful "mad scientist" liquid that boils on a laboratory bench. Be very careful when using dry ice indoors. Dry ice sublimates into carbon dioxide, or CO2. ("Sublimates" means change into a gas from a solid.) 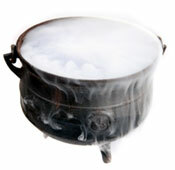 It is dangerous to use dry ice in a small room or space without good ventilation. As the dry ice sublimates, the room or space fills with carbon dioxide gas produced by the dry ice. If people or animals breathe too much carbon dioxide gas, they will suffocate because their lungs cannot get enough oxygen. Be very careful when using dry ice indoors. Because dry ice is so cold (-109 degrees Fahrenheit), you must never touch it with your bare hands. You could get frostbite from dry ice, which causes a "burn" on your skin just as if you were burned by fire. Always use insulated gloves when handling dry ice. Use dry ice only with adult supervision and always wear skin and eye protection. Never play with dry ice in your hands and never put dry ice into your mouth or clothes. You can store dry ice for school science experiments in an insulated cooler as long as the cooler isn't airtight. To keep dry ice from sublimating or disappearing too quickly, wrap dry ice in layers of newspaper or store dry ice in a styrofoam cooler. It's not a good idea to store dry ice in the freezer section of a refrigerator because air circulates constantly in the freezer. Air currents passing over the dry ice cause it to sublimate faster than if it were in a completely still place without wind or air currents.